​SPARK HARMONY IN YOUR HEALTH! WHAT IF YOU CAN TAKE MEASURES NOW TO PREVENT CANCER? Click here to read Dr. Michelle Hessberger's article "Preventing Cancer Naturally with Nutrition and Exercise". 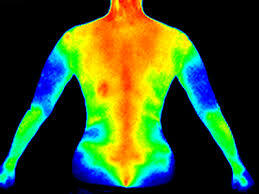 Thermography of New England (TONE) will be visiting May 2, 2019. Call our office to sign up today! Your Natural Dr LLC has a Connecticut Licensed Naturopathic Physician, Licensed Acupuncturist, and Nutritionists on staff to assist you in naturally and holistically optimizing your health. Your Natural Dr LLC seeks to provide you with a family and community based approach to health and healing by providing care for people of all ages, nationalities, genders, and religions. We realize that it takes a village to help a child, or an adult, and that treating the whole family and/or community greatly assists in health and healing. Let us be part of your community of healing! What is a Naturopathic Physician or Doctor? A Natural Doctor is a licensed Naturopathic Physician (called ND) in Connecticut. NDs are rigorously trained in standard medical diagnoses in conjunction with a variety of natural approaches to disease, health and wellness. This broader scope of practice allows patients the benefit of seeing one doctor to treat many conditions while using natural therapies individually designed for each person and their unique characteristics. A Naturopathic physician treats people with diagnosed medical conditions, sub-clinical pathologies (ie. you don’t feel well but all your labs come back normal), and those who are looking to optimize their health. NDs use many different treatment approaches such as diet and lifestyle counseling, nutrition, herbal therapy, physical medicine, acupuncture, qi gong or yoga, homeopathy, mind-body medicine, tui na massage, water therapy, and craniosacral therapy. Natural treatments are very effective and often much safer than most prescription medications, because they are easily recognized by the body due to their similar structure and composition. Hence, there are fewer side effects of natural medicines and your body is more able to use them appropriately to improve health and wellness. If you are looking for safe and natural ways to treat the root cause of your conditions and want to achieve optimal wellness, start by submitting questions and posting messages in our blog! ​Subscribe to the mailing list below for updates! Here, you will be able to request appointments, ask Dr. Hessberger questions, access information, and pay bills online! ​Please click the link below and then the words, "Sign up today" at the bottom left of the page. You will then be prompted to fill out some basic demographics (name, DOB, phone, and email) to get started. 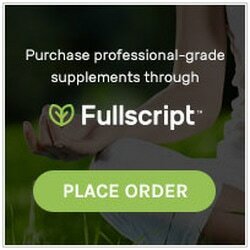 If you need to order supplements online, Fullscript carries many safe brands!